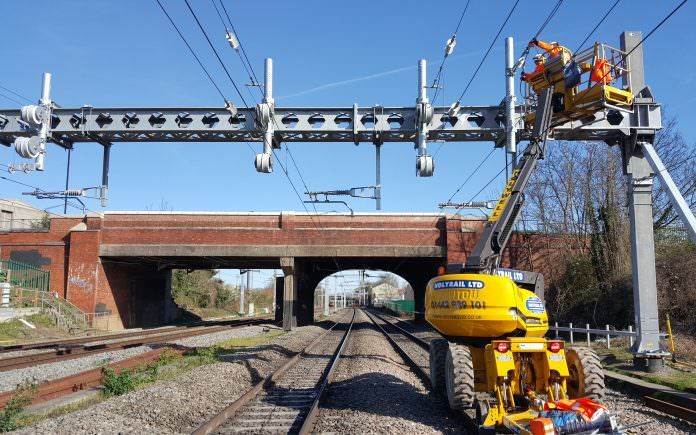 Network Rail has completed the electrification of 19 km of the Great Western Main Line (GWML) between Stockley Junction and Maidenhead. As well as allowing Great Western Railway (GWR) to extend its electric services – which currently terminate at Hayes & Harlington – to Maidenhead in May, the project is central to the rollout of Elizabeth line services to Maidenhead and Reading in December 2019. Mark Hopwood, GWR managing director, said: “The Thames Valley is one of the most popular rail corridors in the UK. “We have promised the current fleet would be upgraded to provide much needed additional capacity and more comfortable, quieter journeys. We started to run half hourly new electric trains in January, delivering over 10,000 more seats a day between London Paddington and Hayes & Harlington. Matthew White, Crossrail surface director, said: “The completion of this major piece of work paves the way for new, quicker, quieter trains right along this stretch of the railway.